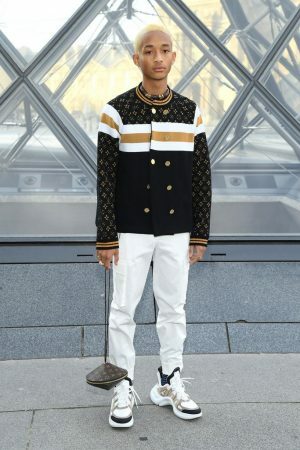 Jaden Smith attends the Louis Vuitton show as part of the Paris Fashion Week Womenswear Fall/Winter 2019/2020 on March 05, 2019 in Paris, France. 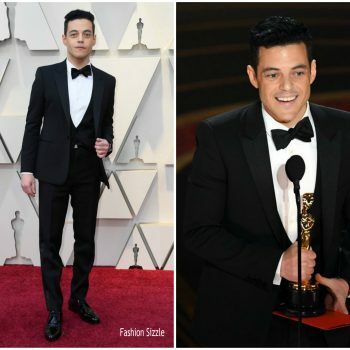 Rami Malek wore a Saint Laurent by Anthony Vaccarello tuxedo to the #Oscars. 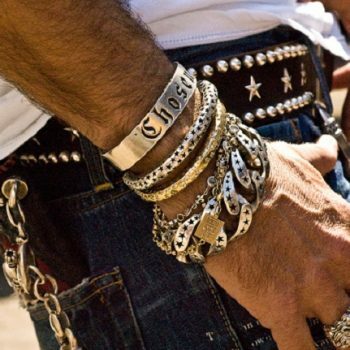 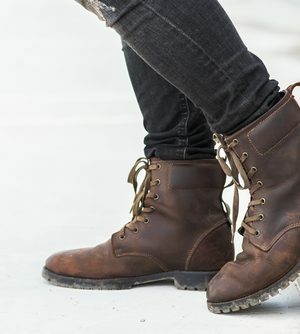 He accessorized with #Cartier details. 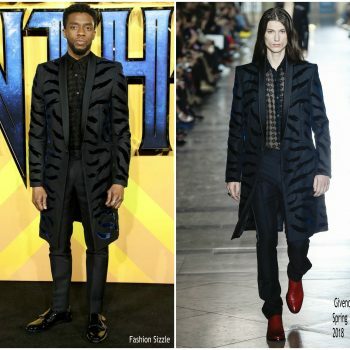 Chadwick Boseman wore another #Givenchy by Clare Waight Keller look to the 2019 Vanity Fair Oscar Party. 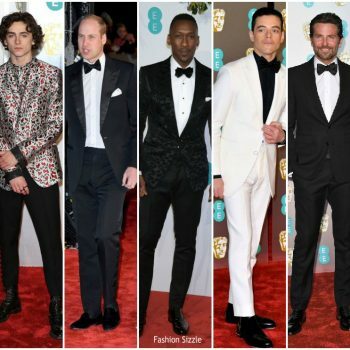 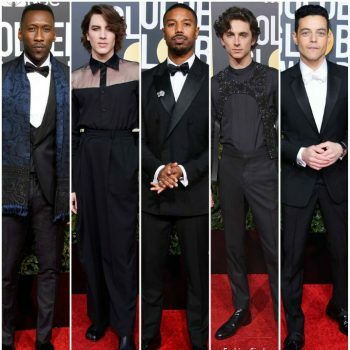 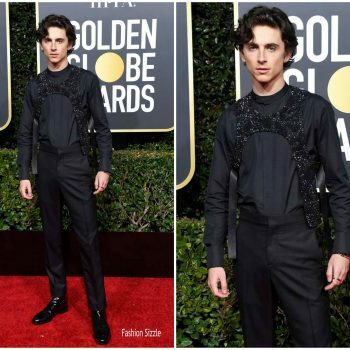 Timothée Chalamet attended the 2019 Golden Globe Awards on Sunday (January 6) in Beverly Hills, California. 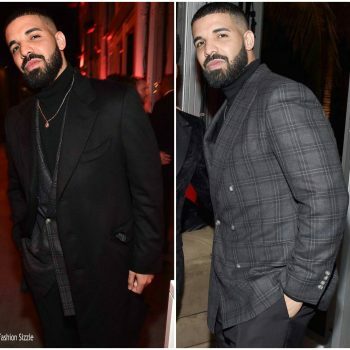 He wore a black Louis Vuitton outfit. 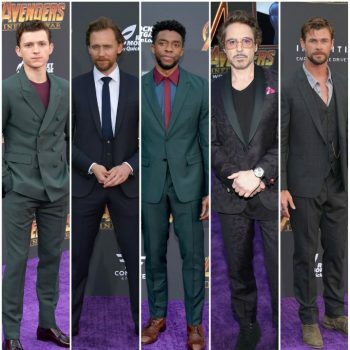 Photo : Getty . 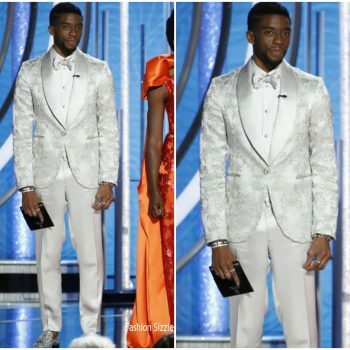 Chadwick Boseman attended the 2019 Golden Globe Awards on Sunday (January 6) in Beverly Hills, California He wore a custom-made Atelier Versace silver tuxedowith Swarovski crystal detail. 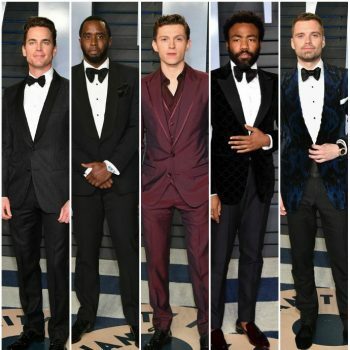 Chadwick Boseman was in attendance at the 2018 Governors Awards held on Sunday night (November 18) at the Ray Dolby Ballroom at Hollywood & Highland Center in Hollywood. 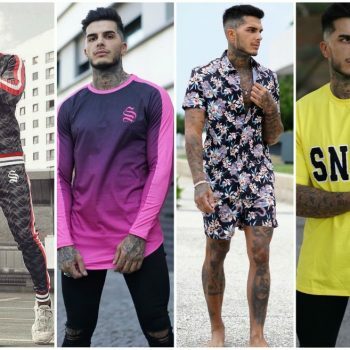 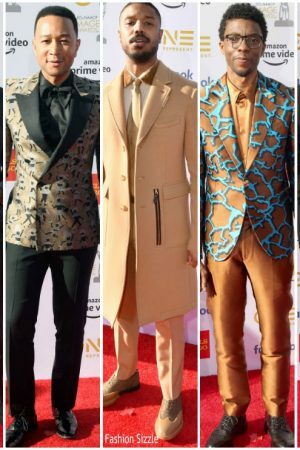 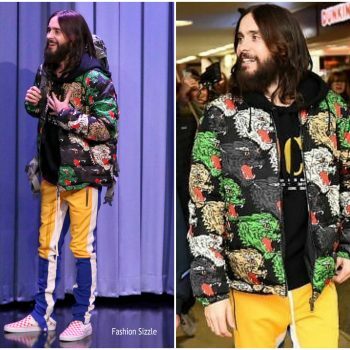 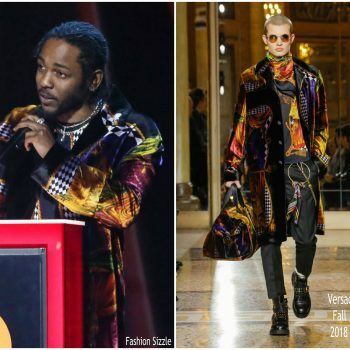 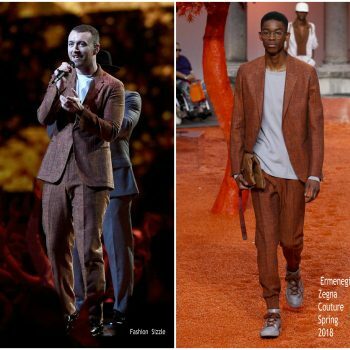 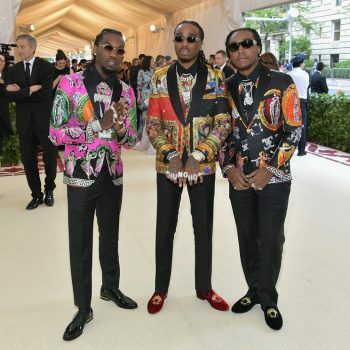 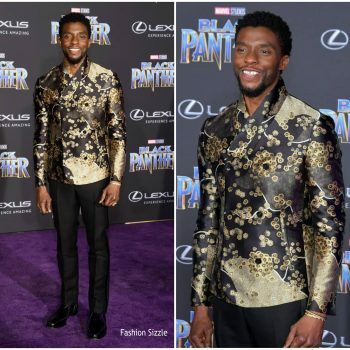 Chadwick wore a Versace Spring 2019 design. 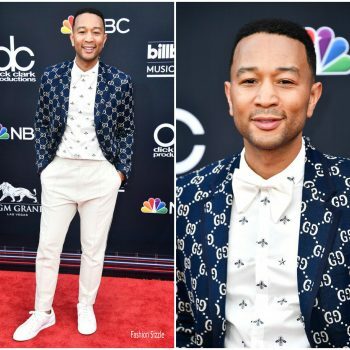 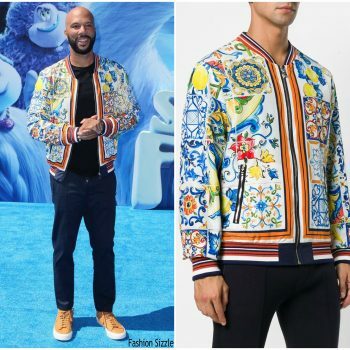 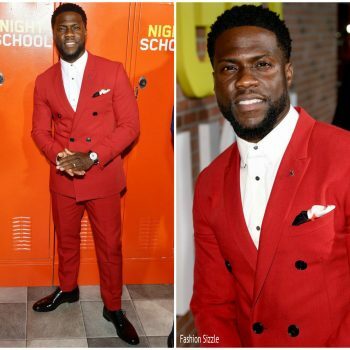 Common wore a Dolce and Gabbana Fall 2018 Majolica print jacket to the Small Foot LA premiere. 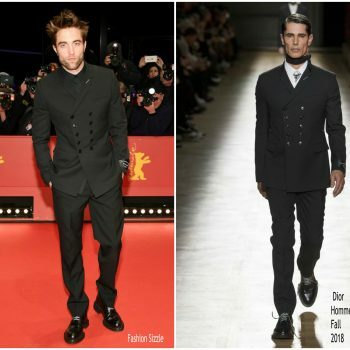 Joe Alwyn wore a #DiorMen navy suit, white shirt, black tie + leather derbies to the 2018 New York Film Festival opening night premiere of The Favourite. 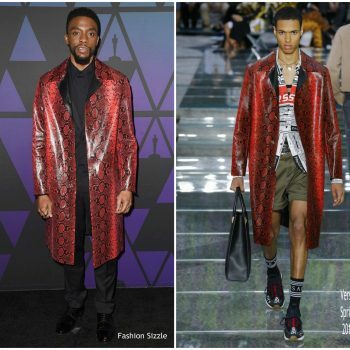 Nicholas Hoult wore a Prada petrolio suit + printed shirt to the 2018 New York Film Festival opening night premiere of The Favourite. 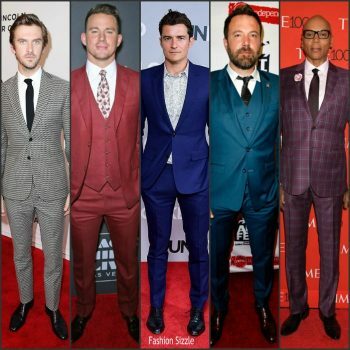 Jake Gyllenhaal wore a suit and blue polo shirt to the Wildlife premiere during the 2018 New York Film Festival. 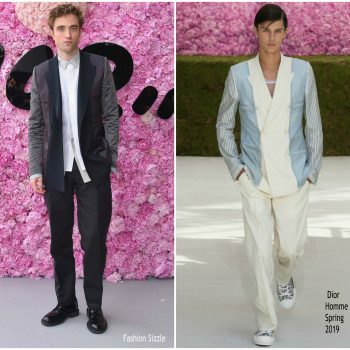 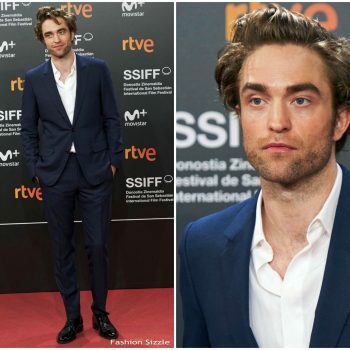 Robert Pattinson wore a Dior Men navy suit, white shirt + black leather derbies to the High Life premiere during the 2018 San Sebastian International Film Festival. 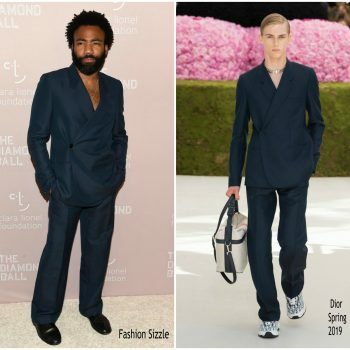 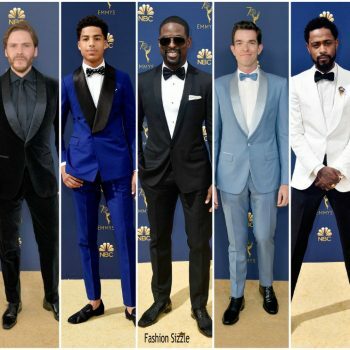 Donald Glover (aka Childish Gambino) wore a Dior Men by Kim Jones Spring 2019 navy blue suit to Rihanna's 2018 Diamond Ball, which benefits The Clara Lionel Foundation. 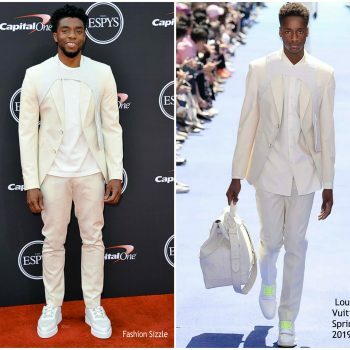 Chadwick Boseman attended the 2018 ESPYS on Wednesday (July 18) in Los Angeles, California. 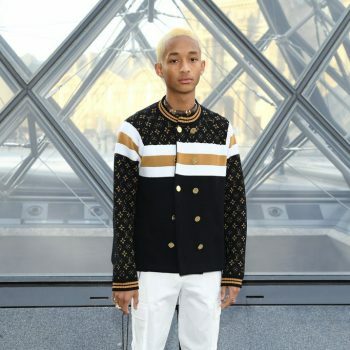 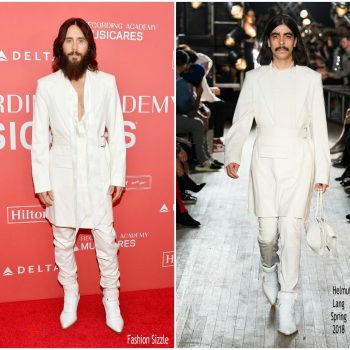 He wore a white suit by Virgil Abloh’s debut collection for Louis Vuitton.Spring 2019 Menswear. 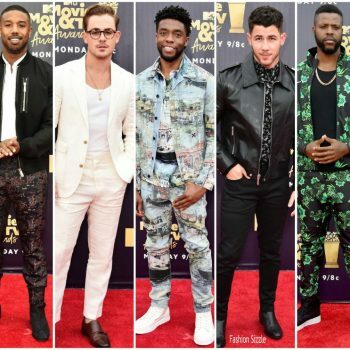 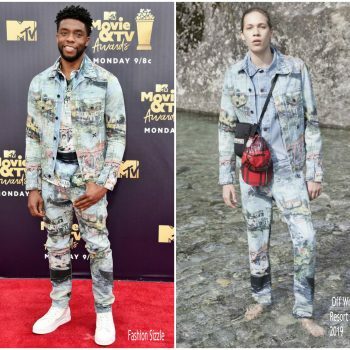 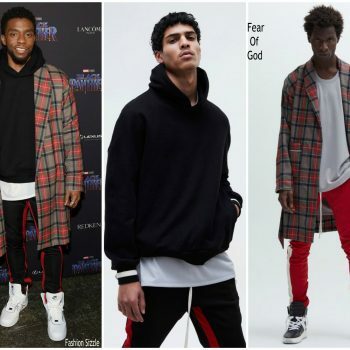 Chadwick Boseman wore an Off White Resort 2019 outfit to the 2018 MTV Movie & TV Awards. 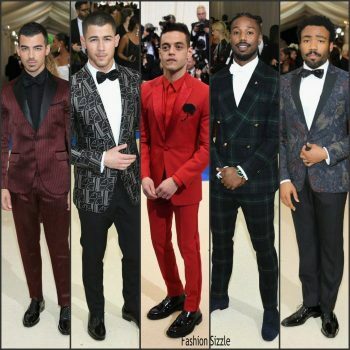 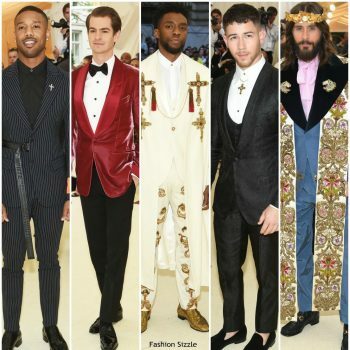 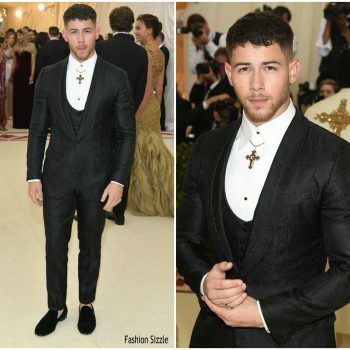 Nick Jonas wore a Dolce and Gabbana Alta Sartoria brocade shawl tuxedo to the 2018 Met Gala. 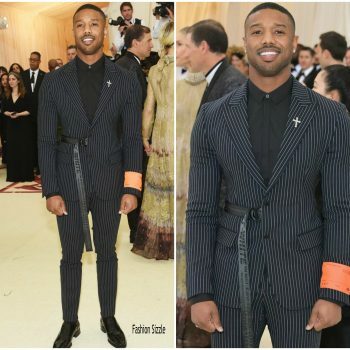 Michael B. Jordan wore an#Off White pinstriped suit to the Heavenly Bodies: Fashion & The Catholic Imagination Costume Institute Gala at The Metropolitan Museum of Art on May 7, 2018 in New York City. 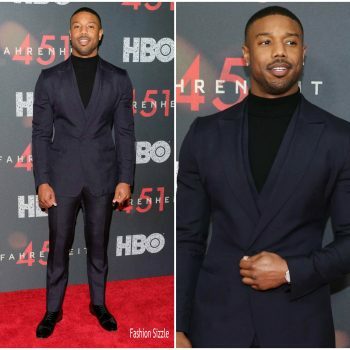 Michael B. Jordan attended The ‘Fahrenheit 451’ New York premiere on Tuesday (May 8) He wore an#Ermenegildo Zegna Couture Fall 2018 suit. 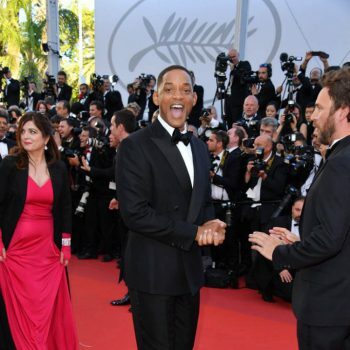 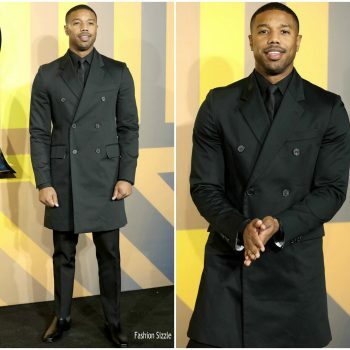 Michael B. Jordan attended to the #Fahrenheit451 premiere during the 2018 Cannes Film Festival. 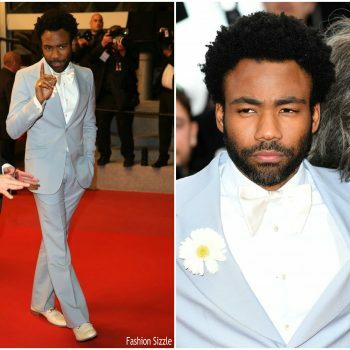 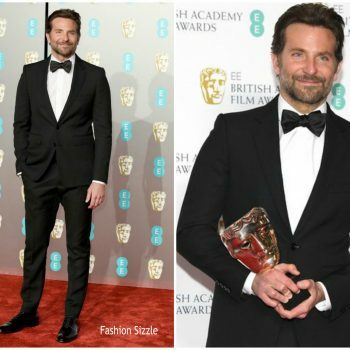 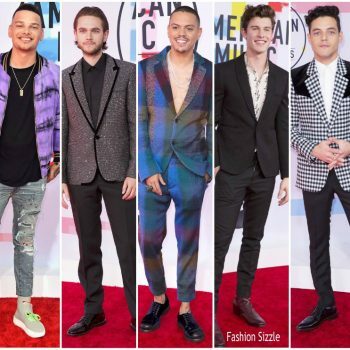 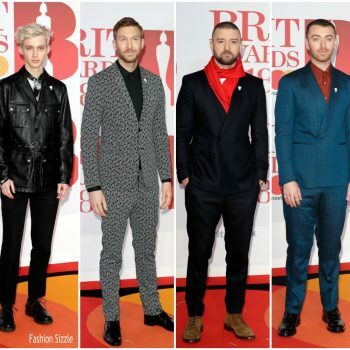 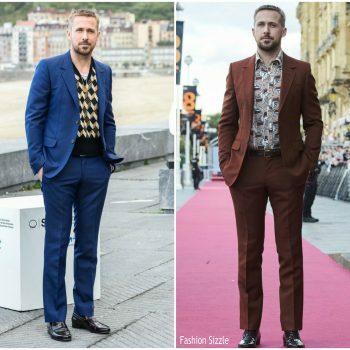 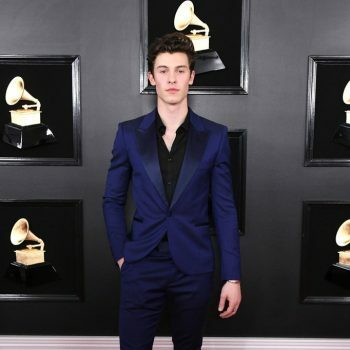 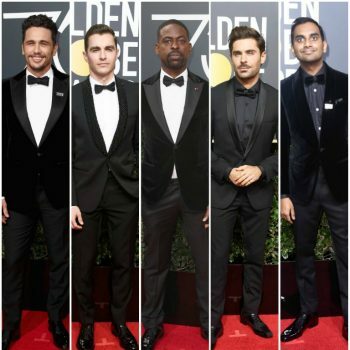 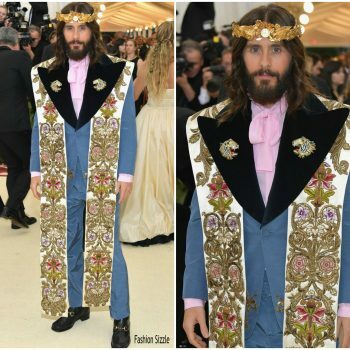 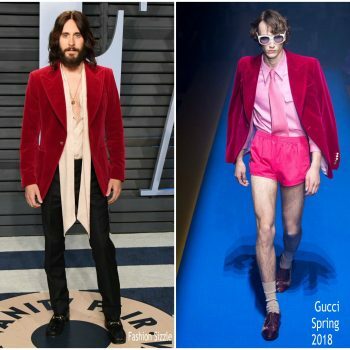 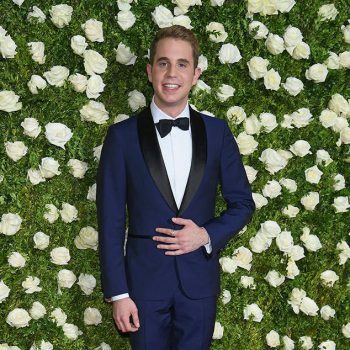 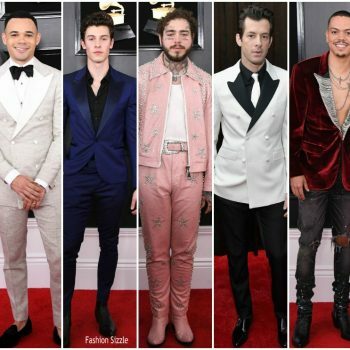 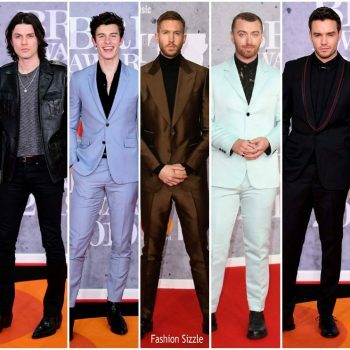 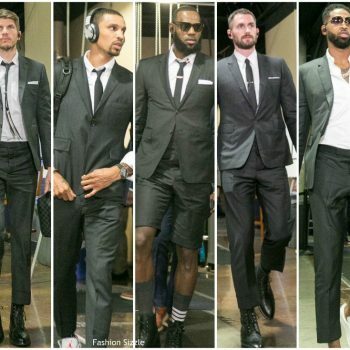 He wore a double breasted tuxedo Giorgio Armani suit. 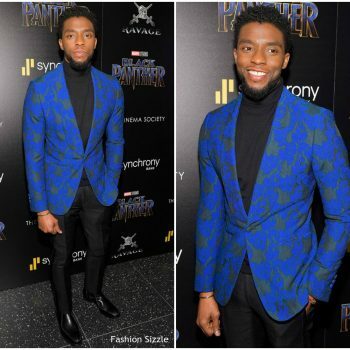 He’s also wearing a Piaget watch. 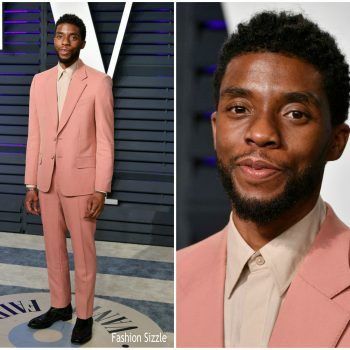 Chadwick Boseman In Prada @ 2018 NAACP Image Awards. 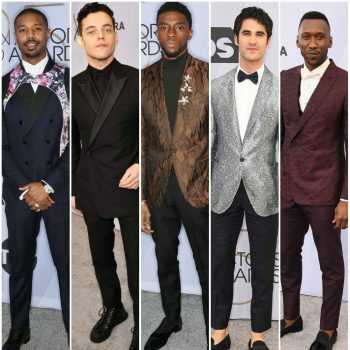 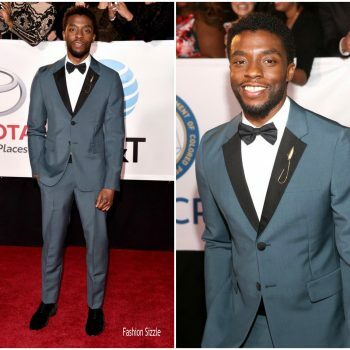 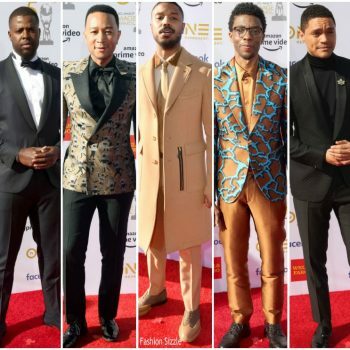 Chadwick Boseman wore a Prada tuxedo to the 2018 NAACP Image Awards.​ He styled his look with Christian Lououtin shoes & a Jason of Beverly Hills lapel pin. 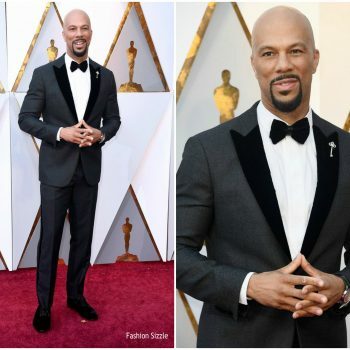 Common wore a custom Giorgio Armani tuxedo to the 2018 Oscars. 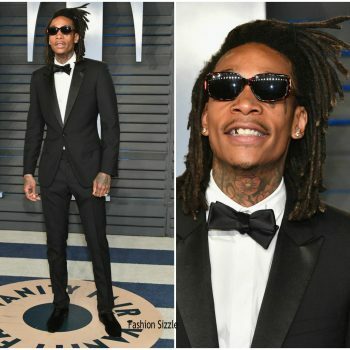 Wiz Khalifa wore a Dior Homme full tuxedo to the 2018 Vanity Fair Oscar Party. 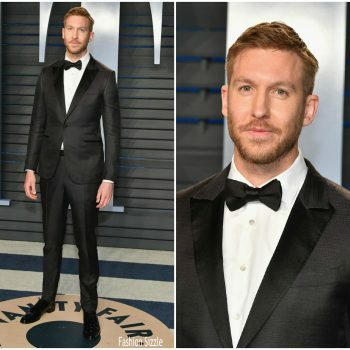 Calvin Harris wore a full rmenegildo Zegna Couture tuxedo to the 2018 Vanity Fair Oscar Party. 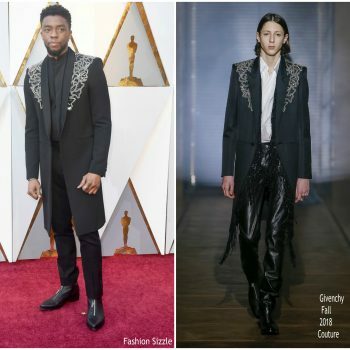 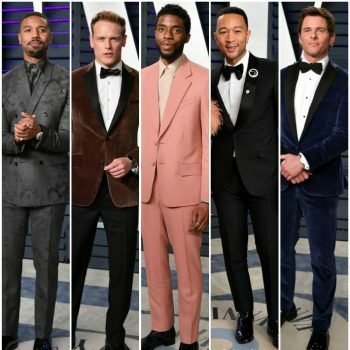 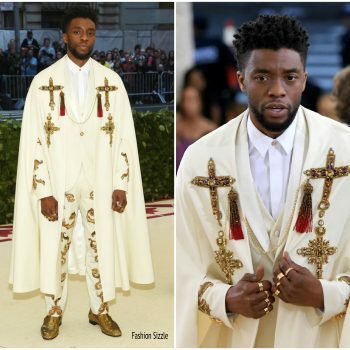 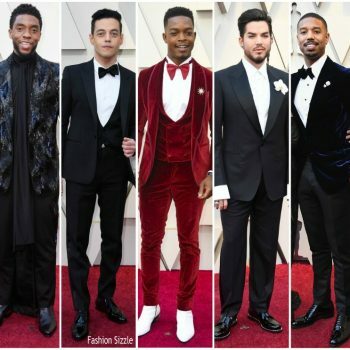 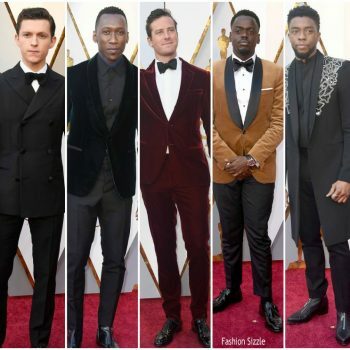 Chadwick Boseman wore a Givenchy Fall 2018 Haute Couture design amd David Yurman jewelry to the 2018 Oscars. 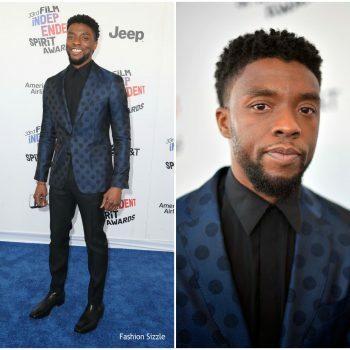 Chadwick Boseman was in attendance at the to the 2018 Film Independent Spirit Awards. 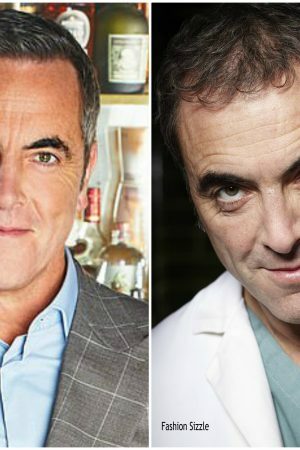 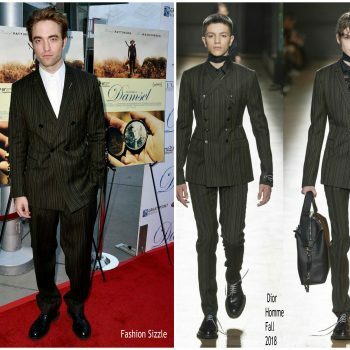 He wore a Burberry suit . 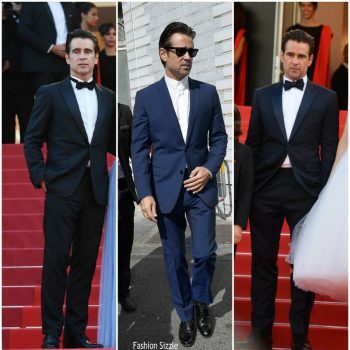 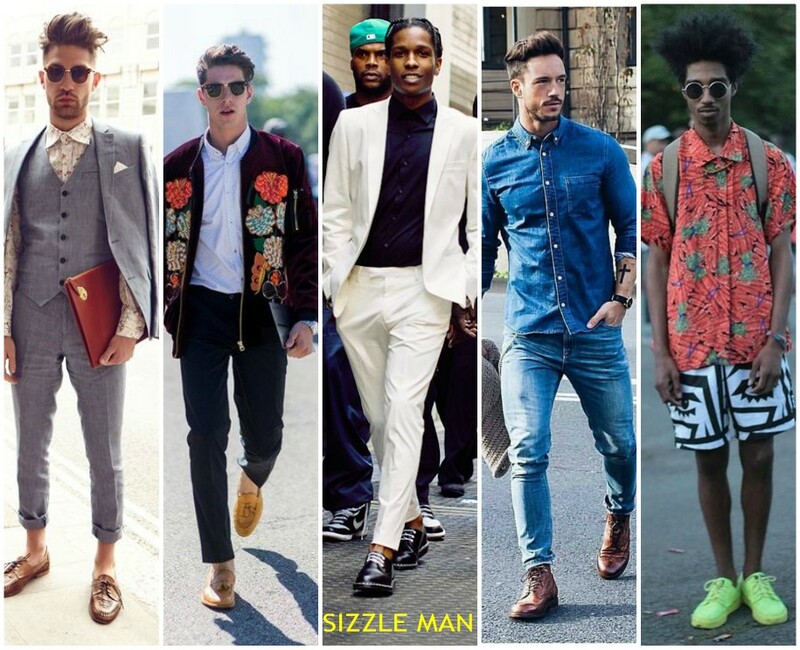 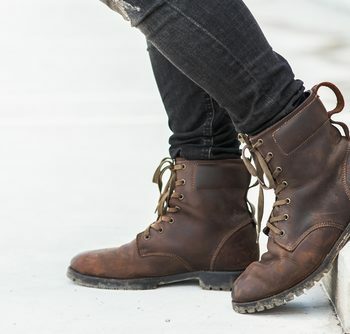 He's also wearing Christian Louboutin shoes & David Yurman jewelry. 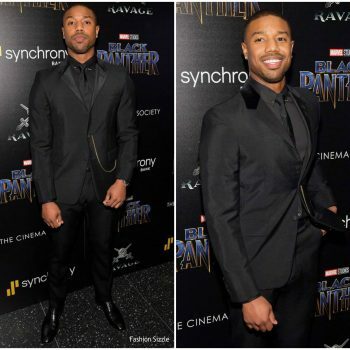 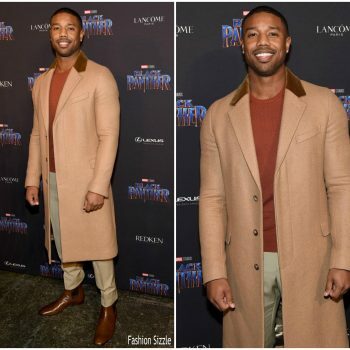 Michael B. Jordan was in attendance at the Black Panther” world premiere on Monday (January 29) in Hollywood, California. 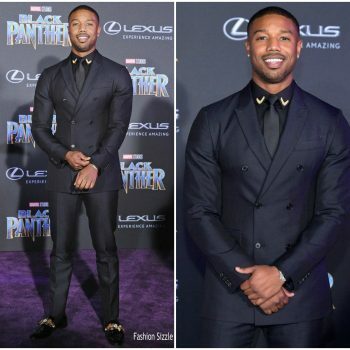 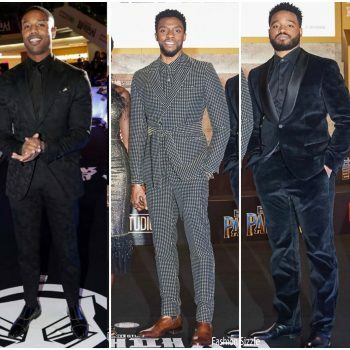 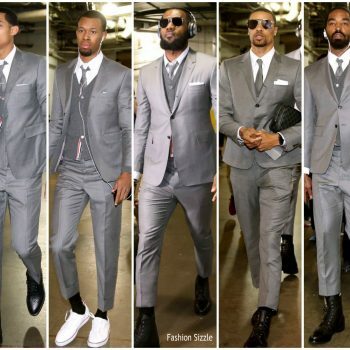 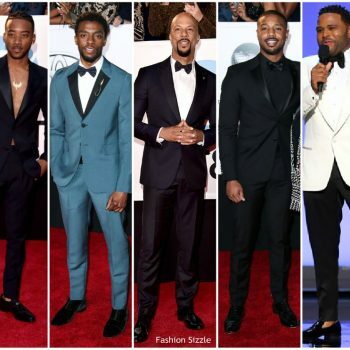 Michael B. Jordan wore a Calvin Klein suit. 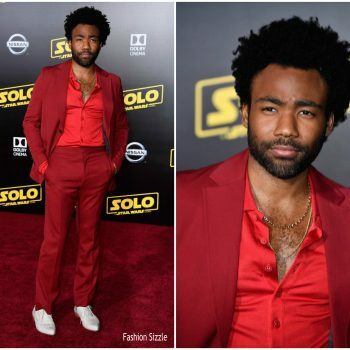 Donald Glover was in attendance at “Black Panther” world premiere on Monday (January 29) in Hollywood, California. 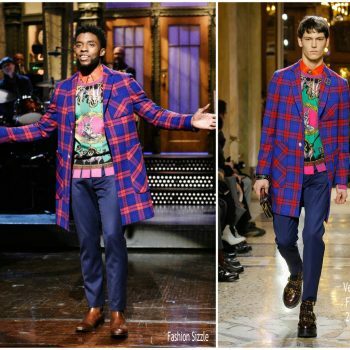 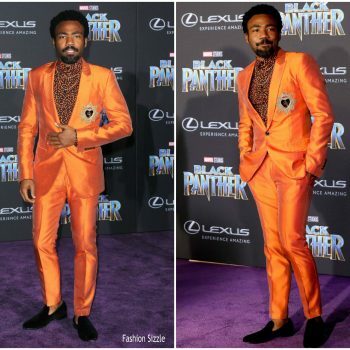 Donald Glover (aka Childish Gambino) wore an orange Dolce and Gabbana Spring 2018 appliquéd suit + printed shirt. 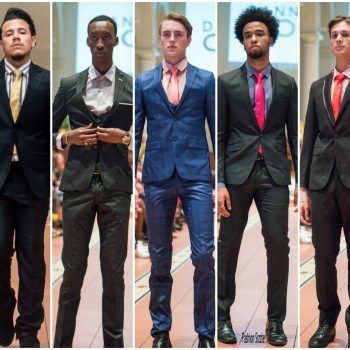 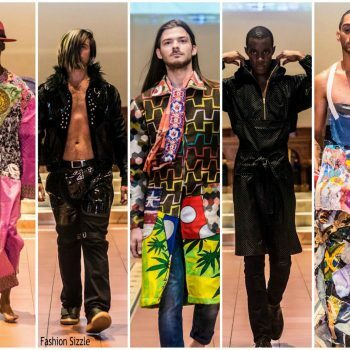 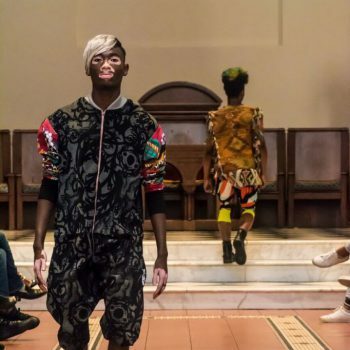 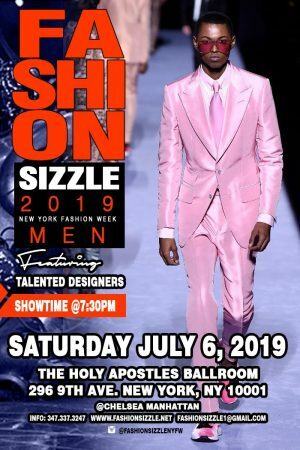 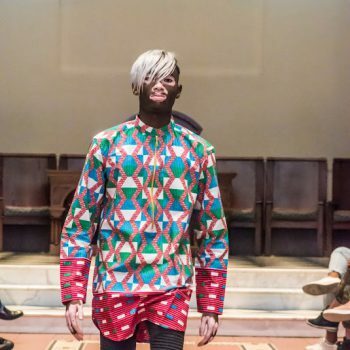 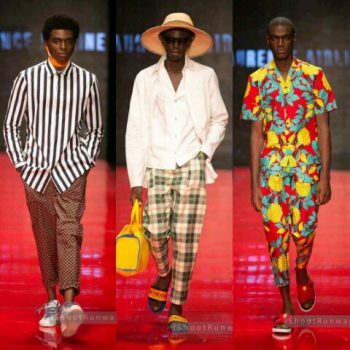 Danny Nguyen Couture showcased the brands menswear collection at Fashion Sizzle NYFWM fashion show that was held on Sunday July 9, 2017 at Holy Apostles Ballroom during New York Fashion Week Men. 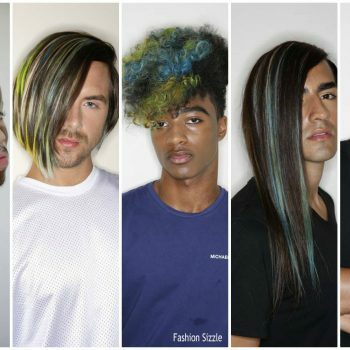 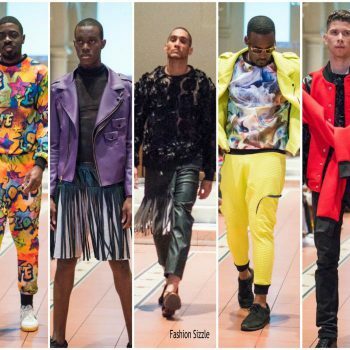 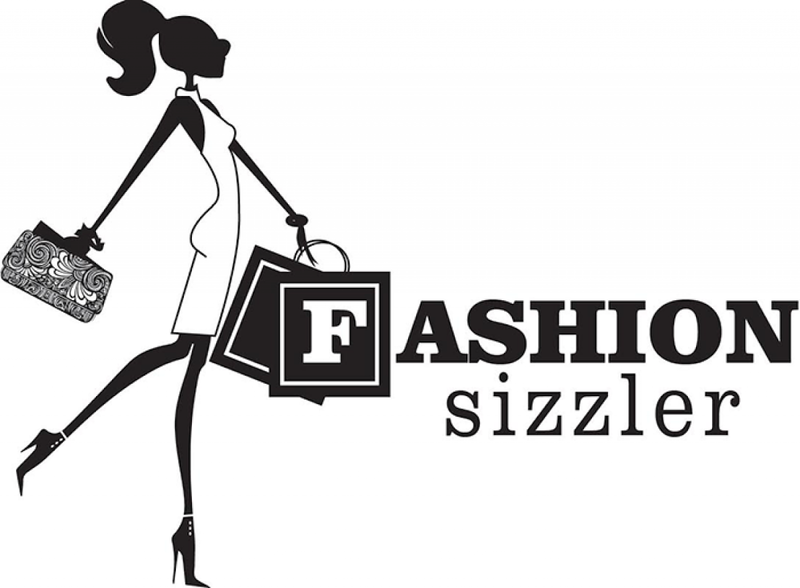 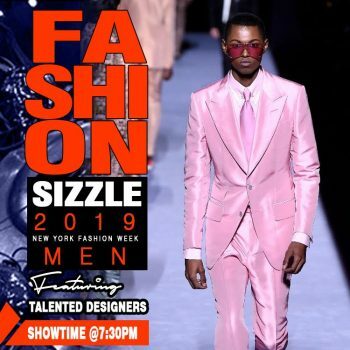 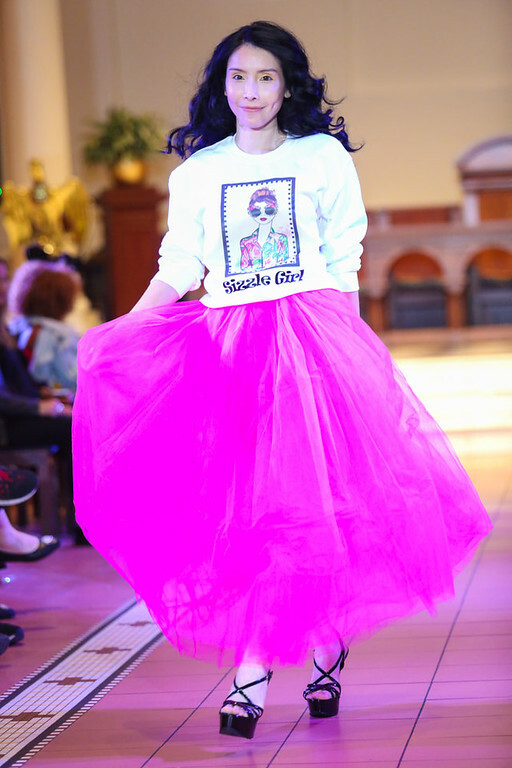 Marcello Costa & team were sponsors for hair and makeup for Fashion Sizzle NYFWM fashion show that was held on Sunday July 9, 2017 at Holy Apostles Ballroom during New York Fashion Week Men. 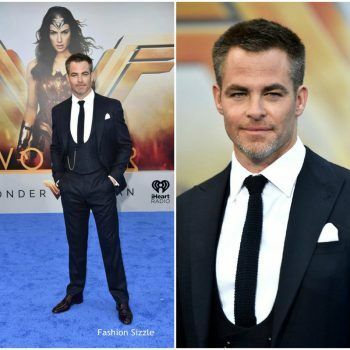 Chris Pine was in attendance at Wonder Woman LA Premiere He wore a Giorgio Armani three-piece suit. 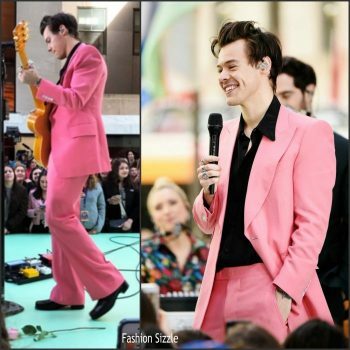 Harry Styles performed in an Edward Sexton pink bespoke suit while performing on the Today Show - 5/9/17.